In a big win for net neutrality, Telecom Regulatory Authority of India has issued the Prohibition of Discriminatory Tariffs for Data Services Regulations, 2016, that disallow service providers to offer or charge discriminatory tariffs for data services on the basis of content being accessed by a consumer. The move is a big blow to Facebook’s controversial ‘Free Basics’ platform and Airtel’s zero-rated platform ‘Airtel Zero’. The Regulations also prohibit service providers from entering into any arrangement, agreement or contract that has the effect of offering or charging discriminatory tariffs for data services. It specifies financial disincentives for contravention of the regulations, while allowing reduced tariff for accessing or providing emergency services, or in times of public emergency. While some obvious examples of such exceptions include services in the field of health and law and order, other examples include cities that are affected by natural disasters. As TRAI Chairman RS Sharma pointed out, during the Chennai floods certain communication services such as WhatsApp could be temporarily zero-rated in order to ensure that communication is up and running. Such tariff would have to be reported to the Authority within seven working days from the date of implementation of the reduced tariff. TRAI’s Regulations are based on the responses received on the Consultation Paper issued by it in December, 2015, as well as internal deliberations. As per the press release, while the responses to the Consultation Paper titled ‘Differential Pricing for Data Services’ suggested both in support and against ex ante steps, the authority favored ex ante regulation. It reasoned that ex ante regulation would be more appropriate than a case by case tariff intervention regime, as it would provide the much needed certainty to the participants. In the explanation to the regulations, TRAI noted that while certain jurisdictions such as the United States and the European Union have adopted variations of the case by case approach, several others such as Netherlands and Chile have barred differential pricing outright. It stated that a suitable regulatory framework for India must be based on country specific factors and a bar, it further reasoned, is warranted in view of the high costs of regulation in terms of time and resources that will be required for investigating each case of tariff discrimination. “While formulating the Regulations, the Authority has largely been guided by the principles of Net Neutrality seeking to ensure that consumers get unhindered and non-discriminatory access to the internet. The regulations intent to make data tariffs for access to the internet to be content agnostic,” the press note says. TRAI intends to keep a “close watch” on the implementation of the mandate by service providers and may undertake a review of the policy after two years or earlier, whenever it deems fit. The regulations come into effect immediately and no pack or voucher already subscribed by a pre-paid or post-paid consumer providing differential data tariff based on content, shall be in operation beyond a period of six months from the date of these regulations coming into effect. On the other hand, the order is being hailed by the net neutrality campaigners. “We are delighted by the regulator's recognition of the irreversible damage that stands to be done to the open Internet by allowing differential pricing,” said Mishi Choudhary, a New York-based lawyer who led an online campaign against Facebook. “This ruling has happened in the face of enormous lobbying on one side by very large companies and a ragtag bunch of people on the other side. In spite of that, to see that the right thing has prevailed, which is in national interest and not what was masqueraded as national interest is very gratifying. This has not often taken place in policy making in India,” says Sharad Sharma, convenor of iSPIRT, the lobby group for indigenous software product firms. Congress Vice-President Rahul Gandhi, who had championed the cause of Net neutrality, hailed the move. 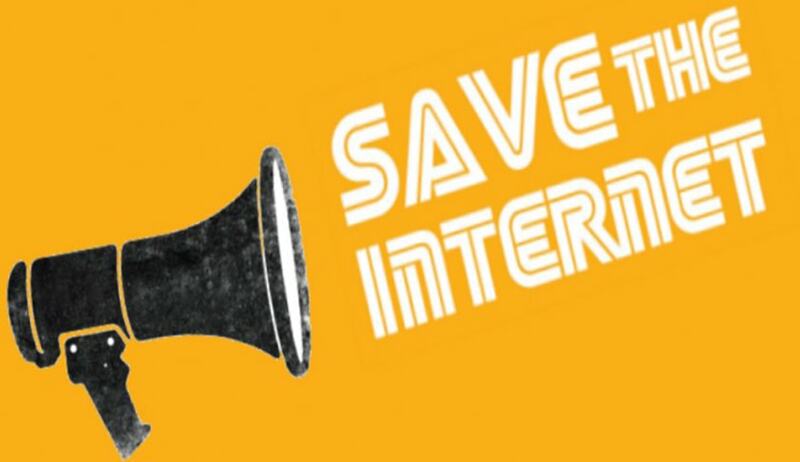 “Welcome Trai’s ruling in support of #NetNeutrality. Big win for Internet users in India. Congratulations to all those who campaigned tirelessly and fought hard to ensure that our Internet remains free and equal for all,” his office tweeted. “BJP wholeheartedly welcomes the Trai decision on differential pricing. The decision is a clear expression of popular will,” Telecom Minister Ravi Shankar Prasad was quoted as saying. “The government made sure proper processes were followed at all levels which eventually led to the victory of an open and equal Internet... It is gladdening to see that the NDA government ensured unparalleled transparency in the entire issue of net neutrality,” he added. Read the Full text of Prohibition of Discriminatory Tariffs for Data Services Regulations, 2016 and TRAI's press release here.